When I lecture about various categories of textiles I frequently use an analogy of a family tree. So, let’s say the nuclear family is apparel and apparel fabrics, furnishing fabrics for curtains and bed and bath linens. These are the most common textiles and immediately familiar to us. Next in the family might be carpets and rugs. Another branch might be ethnic cousins, including costumes. Also there are textiles for industrial uses. Further along the family line might be basketry and cordage. After all they are made from animal and vegetable fibers and are made with similar techniques. One important, although distant cousin, is paper. Vegetable fibers (originally cotton, paper mulberry, breadfruit and others) are pulped. Unlike papyrus manufacture where the fibers are laid parallel to each other to create a smooth surface, paper is a mass of fibers prepared in a mold, heat and pressure are used to provide a smooth surface area. The history of wallpaper is an interesting one. From my files I found an article (Early American Life, Feb., 1980) in which Richard Nylander spoke of the use of wallpaper in the 18th and 19th centuries. Mr. Nylander was the curator at SPNEA, the Society for the Preservation of New England Antiquities, of which I was a member while living in New England. A sample of wallpaper from a house built in the early 1700’s was in the collection but this wall treatment did not become popular until later in the century except among the very wealthy. Early paper was made entirely from rag, as wood pulp was not in use until 1850. Sheets of paper were formed in a mold (like hand-made paper is today) , the molds being approximately 2x3 feet. When dry the sheets were pasted together to form rolls, which were then printed. It had been thought that early papers were printed and sold in small pieces and then pasted to the walls. Printing was done using wooden blocks, exactly as fabric was printed at that time, with separate blocks for each color or design element. Flocked paper was very popular and was created by the application of wool fibers onto glue surfaces. Borders were also popular and ranged from 2 to 12 inches deep, occasionally designed specifically to accompany a certain paper pattern. Continuous roller printing replaced block printing (again, as in textile production). Hand-printing with wood blocks in a single color can produce 25-30 rolls of paper per day while machine printing can produce 25 miles of paper. With the substitution of wood pulp in mid 19thC and mass marketing, the cost of production was significantly lowered and this interior design element was available to most households in America. 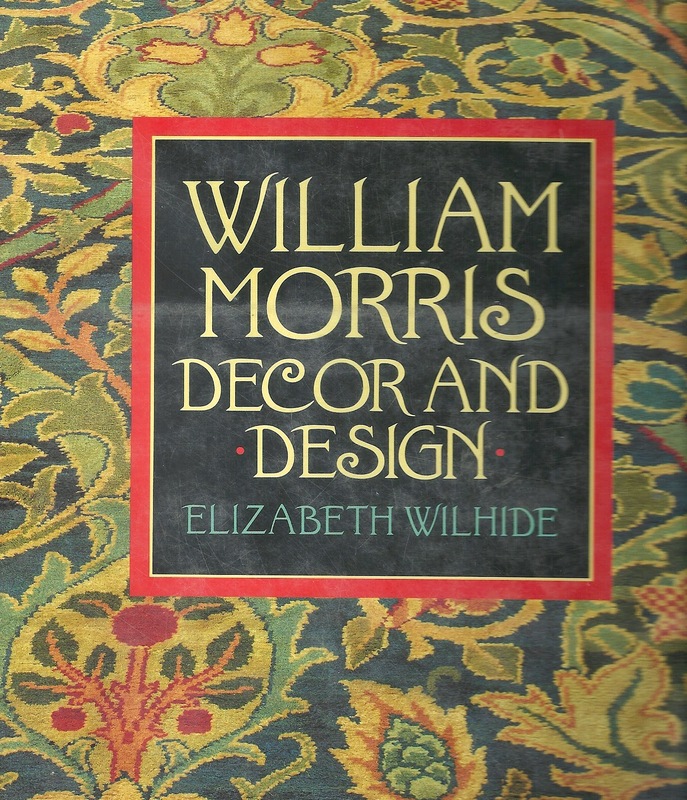 I wrote of the design work of William Morris in February. Morris designed over 40 wallpapers, and several ceiling papers. Morris stressed "wallpaper is only a part of a decorative scheme and must be looked at it the context of the other colours and forms”. Morris’ designs have been reproduced along with many other designers and offer a view into interior design of other periods. . By including period wallpapers in the examination of textiles of the same period one is invited into the parlors, important buildings in a more comprehensive exploration of the interior design of the time. In Liberty Style I mentioned the designer C.V.A. Voysey. His work, following Arts and Crafts style, and preceding Art Nouveau, produced unique design. He is, notably, one of the most successful designers of not only textiles, but also wallpapers, of his time. 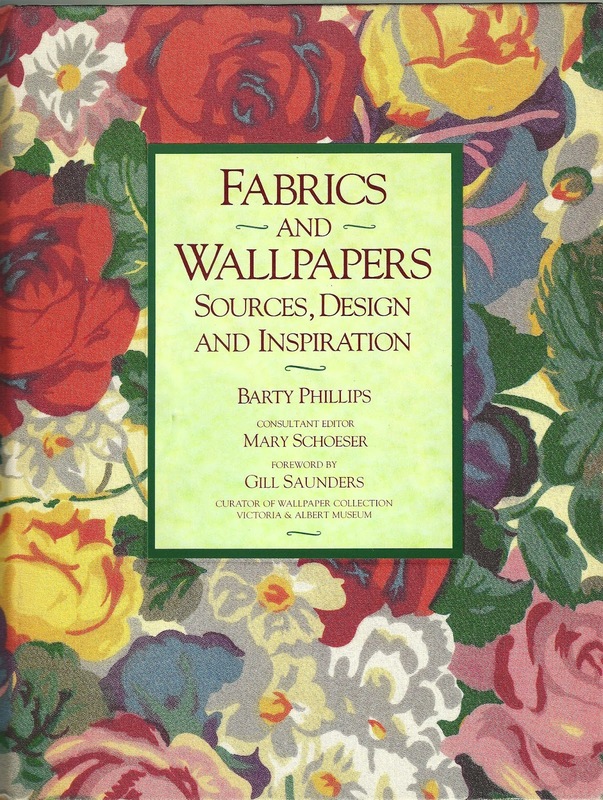 According to Gill Saunders (Fabrics and Wallpapers ; Sources, Design and Inspiration, Barty Phillips Little, Brown & Co). writing the foreword for the volume, “Wallpaper has always been a poor relation in any history of interiors….this book establishes clearly the mutual dependence of wallpapers and textiles.” Indeed it does. The chapters instruct on texture, color and patterns & designs.